by Ken Blanchard & Spencer Johnson, M.D. Ken Blanchard and Spencer Johnson have written The New One Minute Manager to introduce the book’s powerful, important lessons to a new generation. In this concise, easy-to-read story, they teach readers three very practical secrets about leading others—and explain why these techniques continue to work so well. 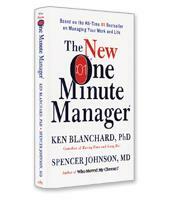 Thirty-five years after the publication of the original book, Ken Blanchard and Spencer Johnson have published an updated edition of their phenomenal bestseller, The One Minute Manager. Much has changed in the past three-and-a-half decades, notably the near-unanimous agreement that top-down command-and-control management is counterproductive and that work is no longer just a paycheck for employees but must, instead, be a source of fulfillment and purpose. Yet, despite the overstated promise of a “new” third secret, readers will finish this updated edition, called The New One Minute Manager, with a renewed appreciation of the foresight and modernity of the original book. For despite radical changes of attitudes and priorities in the workplace, the core ideas of The One Minute Manager still hold true. The young man then goes on to talk with three lower-level managers on the great manager’s team who explain the three secrets of one-minute management. The first manager describes the first secret, which is the setting of one-minute goals — three to five succinctly formulated goals (readable in one minute) tied to the key areas of responsibility. The second manager describes one-minute praises, the second secret of one-minute management. The concept of one-minute praises is encapsulated in the highlighted phrase, unchanged from the first edition, “Help people reach their full potential. Catch them doing something right.” One-minute praises must be immediate and specific, followed by an encouragement to do more of the same. The new edition diverges slightly from the original edition with the third secret of one-minute management. In the original edition, the third secret was a one-minute reprimand. The manager would tell employees who made a mistake exactly what mistake they made and how disappointed he was with them for making the mistake. At the same time, the one-minute manager would explain that he had a problem with the specific mistake, not with them, and that he still valued them. In the new edition, the one-minute reprimand has become the one-minute redirect. The third secret still concerns responding to a mistake and follows a similar path: The manager confirms with the employee the facts of the mistake, expresses how he or she feels about the mistake and then pauses to give time for the employee to think about the mistake. In the original edition, the purpose of the pause was to create “a few seconds of uncomfortable silence to let them feel how you feel.” In the new edition, the pause’s purpose is “to allow people time to feel concerned about what they’ve done.” Both the reprimand and redirect end with the same expression of concern about the specific mistake and not the person, and the manager reaffirming his or her trust in that person. 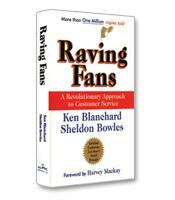 The true value in this new edition is found in the stylistic changes that help the book shake its age. The characters are no longer Mr. Trenell and Ms. Brown, but Paul and Teresa. The secretary, Ms. Metcalfe is now the assistant Courtney, and she does not bring in a list of names to her boss at his intercom’d request; he prints out the list himself from his computer. While these changes may seem cosmetic, they are important in conveying the relevance of Blanchard’s and Johnson’s classic propositions to today’s workplace. For example, the one-minute manager’s aggressiveness toward the visitor in the original would be shocking today; the new one-minute manager is firm but not impolite. In the original conversation, the one-minute manager tells the visitor, “You have asked me not once but twice to make a simple decision for you. Frankly, young man, I find that annoying. Do not ask me to repeat myself. Either pick a name and get started, or take your search for effective management elsewhere.” This entire quote is deleted from the conversation in the new edition, and for good reason. The original ideas in The One Minute Manager stand up to time, a tribute to their value. The New One Minute Manager offers these ideas without the distraction of dated terms and social conventions, thus ensuring that they will resonate with a new generation of fans.